Tottenham take on Borussia Dortmund at Wembley Stadium on Wednesday with a high scoring UEFA Champions League match expected. Over 2.5 goals offers value at 1.85 and Son Heung-Min can continue his run in the anytime and first goalscorer markets. Tottenham have won four straight Premier League matches to sit five points behind Manchester City and Liverpool. Spurs beat Leicester 3-1 at Wembley on Sunday with Davinson Sánchez, Christian Eriksen and Son Heung-Min. Despite the comfortable score line, Mauricio Pochettino’s side gave up a host of chances and had goalkeeper Hugo Lloris save a penalty in a man of the match performance. Son is back in form, in his last 10 matches for Spurs he has produced 10 goals and five assists. Pochettino is missing Eric Dier, Ben Davies, Dele Alli and Harry Kane. Kane’s goals have been missed and the England striker was influential against Dortmund last season, three goals across both legs. Borussia Dortmund are in a mini slump after getting knocked out of the German Cup in dramatic fashion. Lucien Favre’s side led Werder Bremen twice in extra-time only to be pegged back each time before defeat in a penalty shootout. Two consecutive draws in the Bundesliga has allowed Bayern Munich to cut their lead at the top of the table to five points. 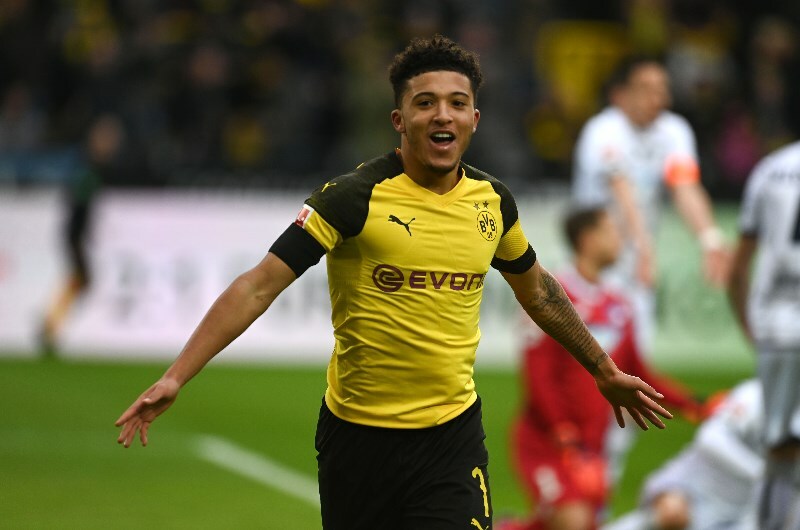 The Black and Yellows were leading Hoffenheim 3-0 at home on Saturday in the 75th minute after Jadon Sancho, Mario Götze and Raphael Guerreiro put the hosts in front. Sancho then hit the post before Hoffenheim produced a remarkable comeback with three unanswered goals. It was a terrible capitulation with injuries to Manuel Akanji and Marco Reus taking their toll. Favre will welcome back Thomas Delaney from suspension but Reus’ loss is significant. Borussia Dortmund still have a lot of attacking talent on display in Paco Alcácer, Sancho, Götze and Guerreiro. These clubs are familiar foes in recent seasons with a 1-1 split. In the 2015-16 UEFA Europa League, Borussia Dortmund advanced after a 2-1 away and 3-0 home win. Pierre-Emerick Aubameyang scored three and Marco Reus two goals across both legs. Tottenham won 3-1 at home and 2-1 away in the UEFA Champions League group stage last season. Harry Kane scored three and Son Heung-Min two goals across both matches. Spurs have shown they can compete without Harry Kane, Son Heung-Min carrying the load from an advanced position. The South Korean can continue to score against a Dortmund side that have been leaking goals recently. Paco Alcácer, Jadon Sancho, Mario Götze and Raphael Guerreiro will be a real handful for Spurs’ defence with their intricate passing and off the ball movement. I expect the German club to play their part in an open and attacking game. Son Heung-Min has scored 10 goals in his last 10 matches for Tottenham (all competitions). Tottenham have kept 1 clean sheet in their last 7 matches in all competitions. Tottenham and Borussia Dortmund have seen over 2.5 goals in all 4 encounters (all competitions). Borussia Dortmund have kept 1 clean sheet in their last 8 matches in all competitions. Tottenham and Borussia Dortmund have shown an inability to keep clean sheets lately, and both have the attacks to score despite missing their best player. I expect the over 2.5 goals trend to continue here at 1.85 and Son Heung-Min to keep scoring goals.